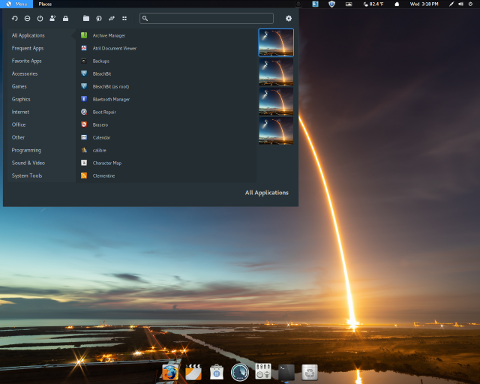 Rate this project Pinguy OS 11.04, an Ubuntu-based distribution with many user-friendly features, has been released: "Pinguy OS 11.04 released with classic GNOME 2.32.1 desktop. Pinguy OS is an Ubuntu-based Linux distribution that comes with a lot of applications installed by default, trying to cover everyone's needs. But it's not the default application selection what makes Pinguy OS so interesting, but Pinguy's attention to detail: every single aspect of the desktop is carefully customized to provide a great out-of-the-box experience. Pinguy OS 11.04 (based on Ubuntu 11.04) was released yesterday. The new Pinguy OS comes with GNOME 2.32.1 and uses the classic GNOME desktop while Unity has been completely removed from the CD." Read the full release announcement which includes screenshots. Download: Pinguy_OS_11.04_i686.iso (1,606MB, MD5, torrent), Pinguy_OS_11.04_x86-64.iso (1,726MB, MD5, torrent).